The Law Offices of Daniel L. Hightower, P.A. Turn to the experienced, local lawyers at the Law Office of Daniel L. Hightower, P.A. Our team of personal injury lawyers, based in Ocala, Florida, will relentlessly pursue your maximum compensation. Specializing in Car Accidents, Work Accidents, Wrongful Death, Personal Injury, and Social Security Disability. Since 1976 Daniel L. Hightower in Ocala, FL has been standing up for the rights of people against those that caused them injury. Our personal injury lawyers, workers’ compensation lawyers, and social security disability lawyers have years of experience in successfully representing the interests of their clients and obtaining recoveries on their behalf. In addition to catastrophic injury cases that I’ve helped my clients make multi-million dollar recoveries on, I handle moderate and severe injury cases, a number of which settle for six figure amounts. If you or a family member is involved in a serious motor vehicle collision or a serious work accident and sustain moderate, severe or catastrophic injuries, please call my office for a free consultation with me to discuss the case and your legal remedies. Our Frequently Asked Questions section has been sorted by topic to help you get the answers you need. Contact Daniel L. Hightower for a free consultation to evaluate your case. Since 1976 Daniel L. Hightower has been standing up for the rights of people against those that caused them injury. Many times the at-fault party is represented by an insurance company, or the injured party is seeking benefits from their own insurance company. You do not have to, and should not, go it alone against the insurance companies, even if the insurance company is your own. The attorneys at Daniel L. Hightower, PA have years of experience in successfully representing the interests of their clients and obtaining recoveries on their behalf. 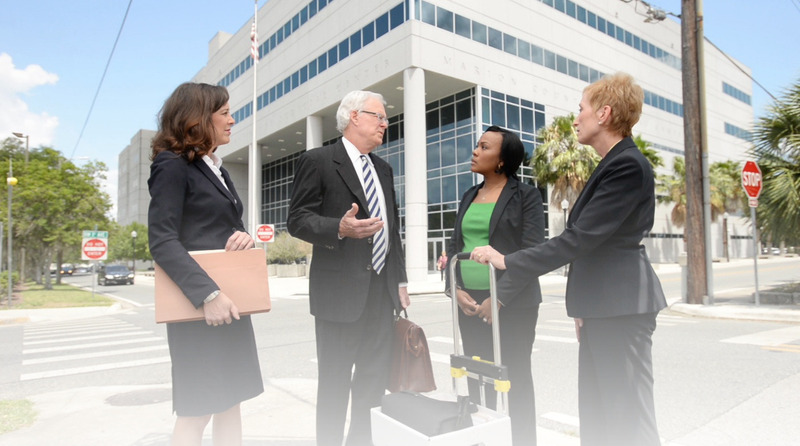 Each lawyer in the Personal Injury Department has years of experience prosecuting personal injury and wrongful death claims of people and families in the courts of central and north Florida. Each attorney is assisted by teams of top-notch paralegals, investigators and support staff that help to investigate each claim and vigorously prosecute each case to a swift resolution. Many of our clients have been seriously or catastrophically injured and proving such a case often demands the coordination of various resources, including accident reconstructionists, engineers and economists. We have the professional and financial resources to properly litigate these cases. In a split second, an car, truck or motorcycle accident can change the lives of you and your loved ones forever. A traffic crash occurs somewhere in Florida every two seconds. Most crashes are caused by the negligence or carelessness of a driver. If you are injured in a collision, you may have a claim against the at-fault driver and your own insurance company, and it is important to consult with an attorney right away. The Law Office of Daniel L. Hightower, P.A. is highly experienced in car, motorcycle, and truck accident law. To receive the full compensation that you are entitled to by law, it is important to retain a car accident attorney experienced in the aggressive prosecution of these claims. At Daniel L. Hightower, PA the professionals in the personal injury department quickly secure and retain evidence, document damages and aggressively pursue your claim. Failure to secure evidence or properly document injuries or damages can severely affect the value of your case. Additionally, you may be asked by the involved insurance companies to give recorded statements. It is important that you obtain legal counsel before giving any recorded statements to assure that your legal rights are being protected. 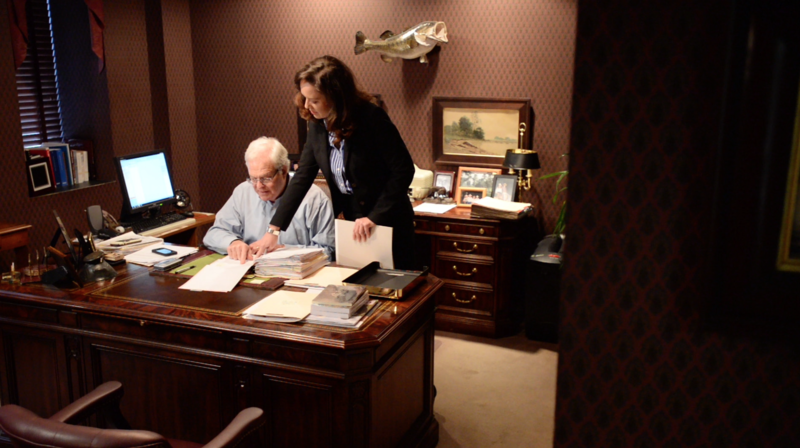 Daniel L. Hightower, work accident lawyer, has been helping injured workers with their work accident claims since 1976. As an injured worker under the workers’ compensation law you are entitled to receive medical treatment and prescription drugs. You may also be entitled to wage loss reimbursement for time you have been unable to work. Most employers are required to carry workers’ compensation insurance. If you have been injured at work and have questions, please contact us for a free consultation. There are no fees and no costs if no recovery of benefits or settlement is made for you. Do you think your work injury may have been caused by a faulty product, unsafe work environment or someone else? You may be able to make a claim against a third party. Contact us for a free consultation and let Daniel L. Hightower review your options. There are time limits for filing a work injury claim and time limits for keeping the claim from being closed by the insurance company. Once you are injured at work or become aware of a work injury, you have 30 days to report your injury to your employer. Generally, you have two years from the date of your injury to file a claim. Failure to report your injury within 30 days may be used as a defense against your claim regardless of the two-year Statute of Limitations for filing a claim. The Statute of Limitations in workers’ compensation cases is two (2) years from the date of accident, or (1) year from the last time the employer/carrier provided medical treatment or paid compensation benefits to you, whichever is later. Other statutes may also apply to the determination of when the Statute of Limitations began to run or when it expires. 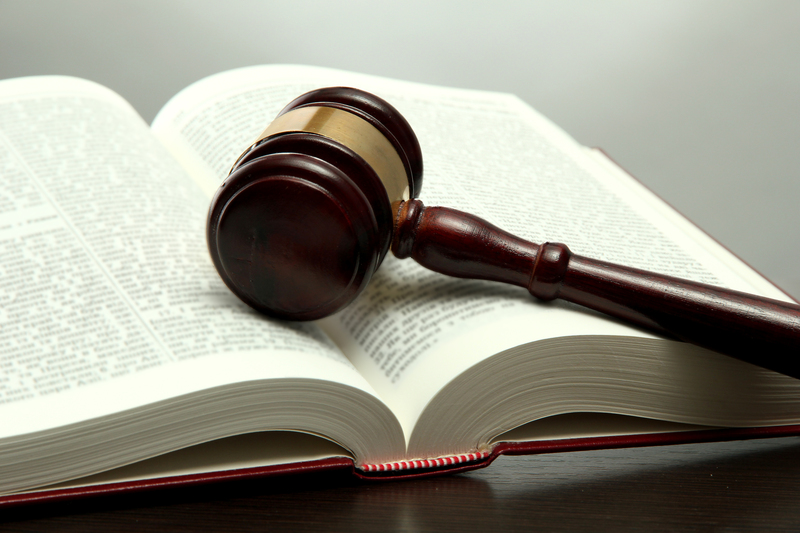 If the Statute of Limitations expires, you will probably not be able to pursue your claim. Wrongful death is any death that results from the misconduct or negligence of another person or entity. Wrongful death can be the result of an auto accident, a work accident, a dangerous product or the negligent acts of others. Many times families are so stricken by pain and grief that they may not realize that the death of their loved one was due to the negligence of another. Their loved one is no longer there to tell them what happened to them. It is through the work of attorneys with access to forensic experts that preservation of previously undetected evidence can be preserved to prove the case. For instance, a person may be involved in an automobile accident and may be ejected because, the police report says, the person was not wearing their seatbelt. However, upon closer inspection by an engineering expert with special knowledge concerning seatbelt latching mechanisms, it can be determined if there was a failure of the seatbelt latch during the collision, resulting in the ejection of the passenger. While no amount of money can make up for the loss of a loved one, if a death was caused by the negligence of another person or entity, the law provides for compensation to the survivors: the spouse, child or parents of the loved one. Such recovery may help with funeral and medical bills, as well as lost income. The survivors may also be entitled to compensation for the loss of love, support and services of the deceased. It is important to note that the statute of limitations, the time within which you must bring a wrongful death lawsuit, is only two years. If you suspect that wrongful conduct may be to blame for the death of a family member, you must move quickly to protect your legal rights and preserve the evidence. Please contact us to schedule your free initial consultation today. If your application is denied, don’t be discouraged. The Social Security Administration wrongly denies benefits in many cases. You have a right to a hearing with a United States Administrative Law Judge. The Administrative Law Judge does not work for Social Security and he is not bound by any prior decisions reached by the Social Security Administration. Further, whereas the initial decisions tend to be based almost exclusively on the medical records, an Administrative Law Judge will have the benefit of your testimony regarding how your injuries impact your ability to work. More than half of the people nationally who pursue their claim to a hearing are found to be disabled. If you are denied at the application stage, please contact our office. We would be happy to meet with you for a free initial consultation. If you choose to have us represent you, we will assist with all of the paperwork in connection with the appeals and we will help gather the medical evidence necessary to prove that you are disabled. Further, we will help you prepare for the hearing so that your testimony will maximize your chances of being found disabled. Finally, we will attend the hearing with you to ensure that you have an opportunity to fully explain your particular circumstances to the judge. Dan Hightower provides severely injured Accident Victims with 24/7 access to him through our after-hours phone messaging system. HOW WILL I PAY FOR MY LEGAL FEES? We take cases on a contingency fee basis. That means that you pay no fees or costs unless and until we make a recovery for you. HOW DO YOU DECIDE WHETHER OR NOT YOU WILL TAKE MY CASE? Once we receive initial information from you about your case, you may be asked to schedule an appointment with an attorney in our firm to meet and further discuss your case. During that free initial consultation we will ask you to bring all documentation concerning your accident, such as a police report, policies of insurance, photographs and medical records and bills (if you have them). We will review the documentation and gather further information from you regarding the facts surrounding your accident. We will also answer your questions at that time. We review each case on an individual basis. Unfortunately, we do not have the resources to take every case. However, if after meeting with you and reviewing your case, we feel we can be of service to you, we will take your case. If we can not take your case, we may be able to refer you to other lawyers we know who can help. IF I AM IN AN AUTOMOBILE ACCIDENT, WHAT SHOULD I DO? Florida law requires that you remain at the scene of an accident until the police arrives to help in the preparation of an accident report. Report the accident to your insurance company as soon as you get home from the scene, or as soon as possible. In order to prove your case, you have the burden of presenting evidence to establish your claim, therefore, preservation of evidence is crucial. Such evidence may consist of documentation of the physical evidence at the accident site, of the vehicles involved in the accident and of your medical injuries. You may not know the legal requirements necessary to prove your case and therefore, we recommend that you contact an attorney immediately to be advised of your legal rights. HOW LONG DO I HAVE IF I HAVE BEEN INJURED AT WORK TO REPORT IT TO MY EMPLOYER? You should report your work accident or injury to your employer right away. Failure to report your injury within 30 days may be used as a defense against your claim. The value of each case is different and must be evaluated separately. We have over 30 years of experience handling accident and injury cases and take a great deal of time to properly evaluate your case. A person who has been injured through the negligence of another may recover for past and future medical expenses, past and future lost wages, and, in many cases the value of your past and future pain, suffering, loss of enjoyment of life and other non-economic damages. Additionally, if you have a spouse and/or children, they may have a claim in their own right for their loss of your consortium (companionship, services, comfort) due to the injuries you suffered. However, you must know that there is never any guarantee of any recovery.